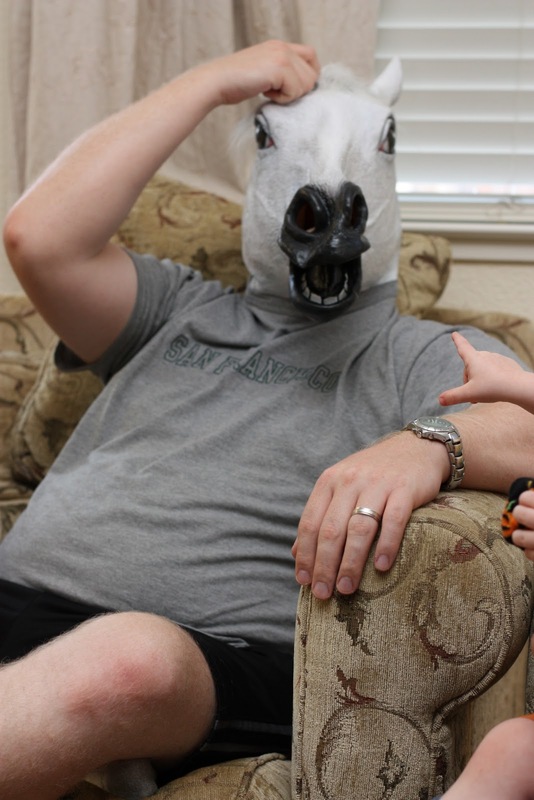 Well, it should surprise you not to see that Zac was NOT very pleased that my dear friend, Kristina, sent us 2 more horse heads (which will be put to good use during her visit in TWO weeks!). Zac finally kind of warmed up to the horse heads when we showed him how to beat the crap out of them... but was more than happy to pet the "doggies" goodnight and get the hell away from them. When he saw the horse heads again later this evening he started screaming again, LOL. Your pictures crack me up. :) And the boys are awesome! OMG - I'm with Zac - those are the creepiest things EVER! I'm gonna have nightmares tonight... I KNOW it!